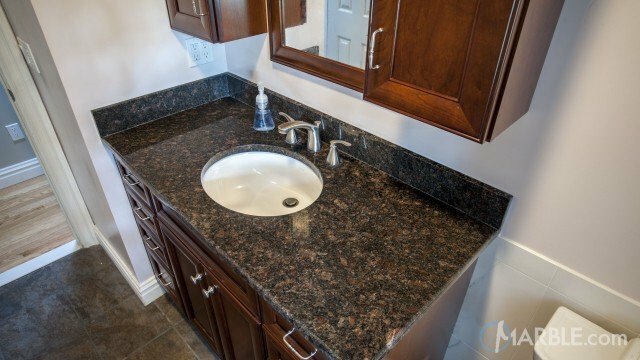 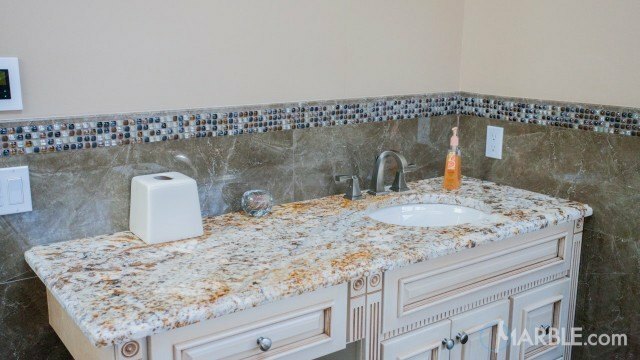 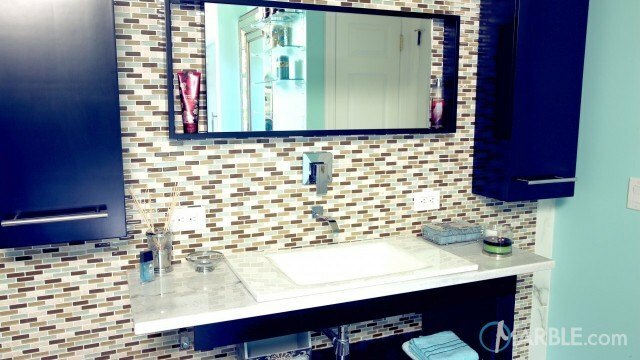 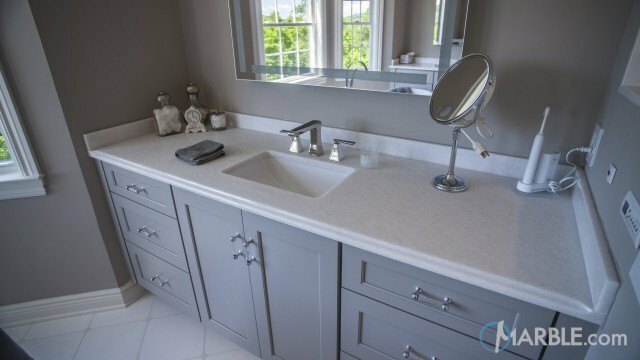 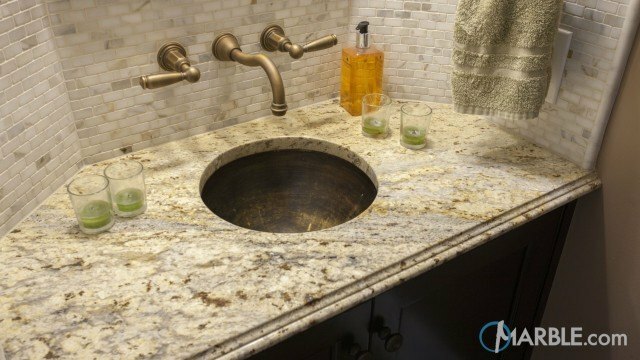 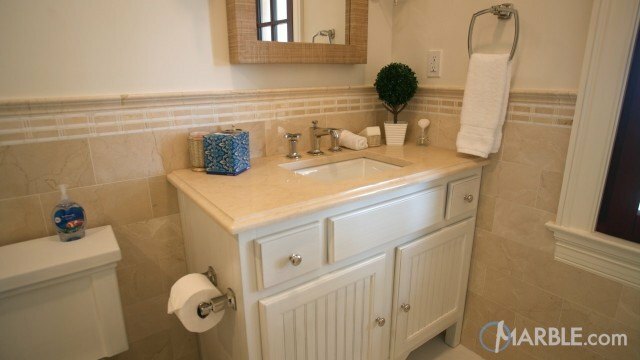 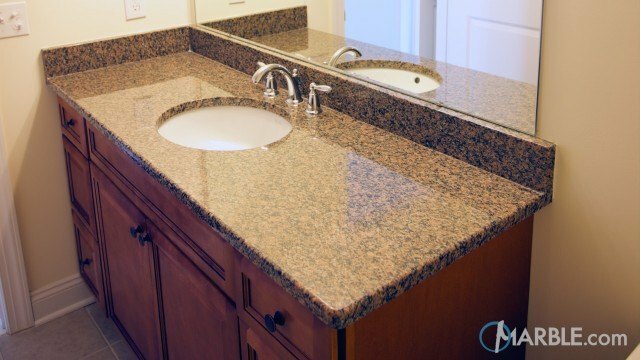 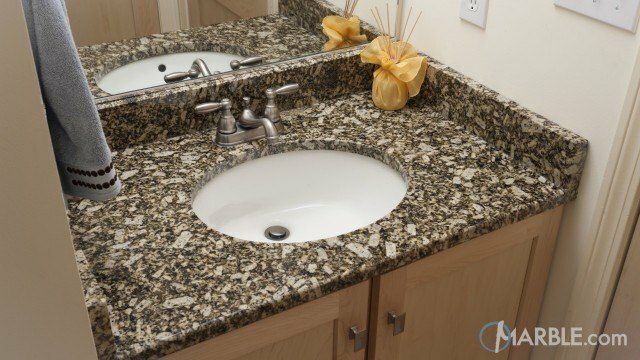 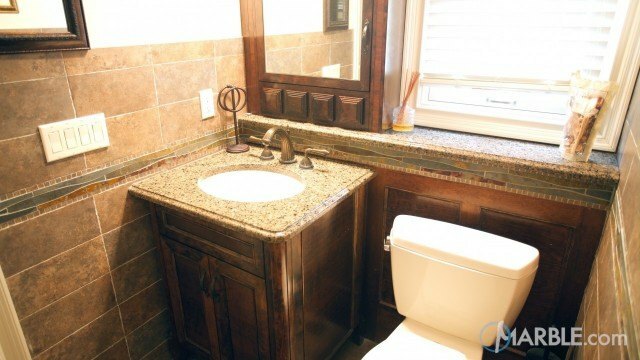 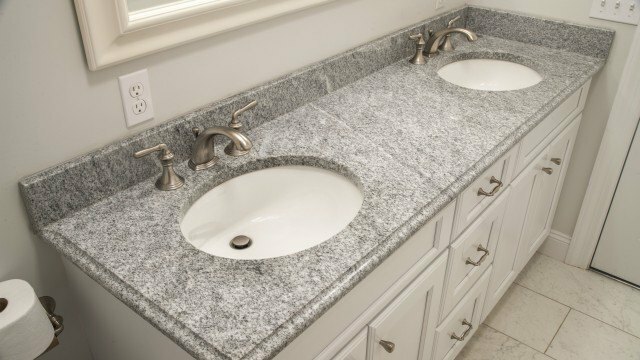 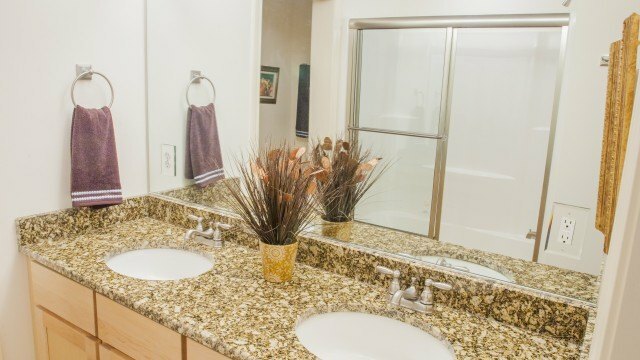 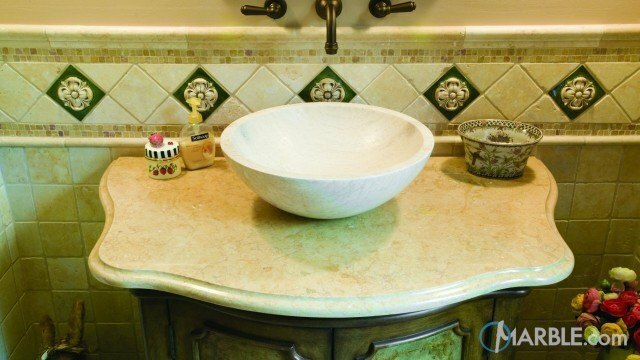 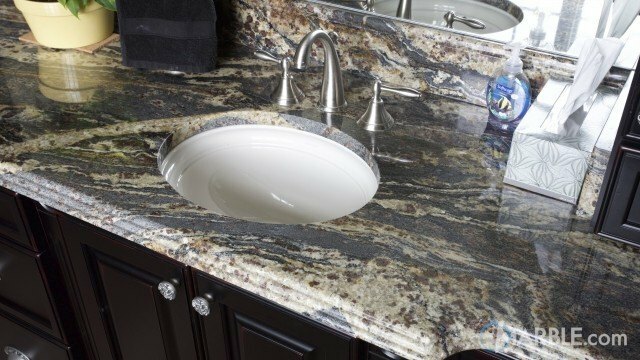 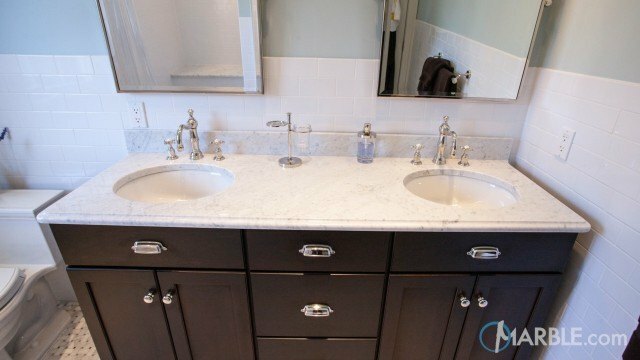 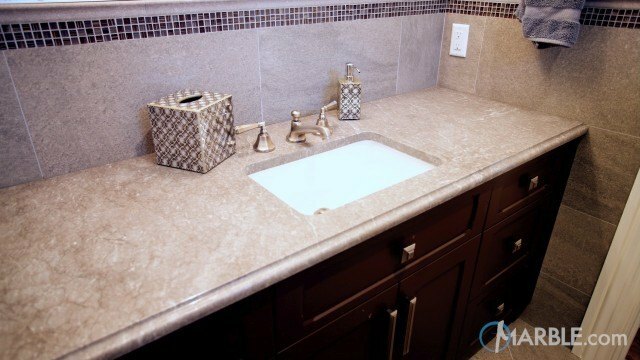 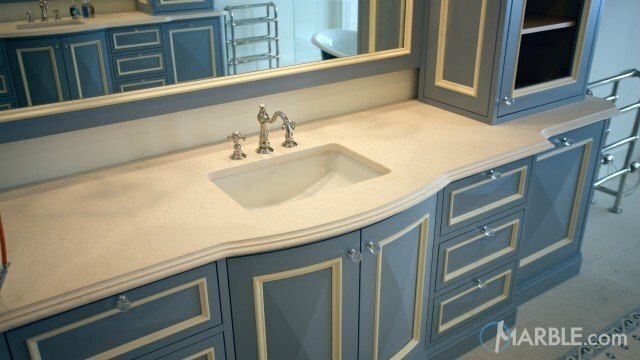 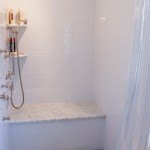 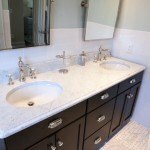 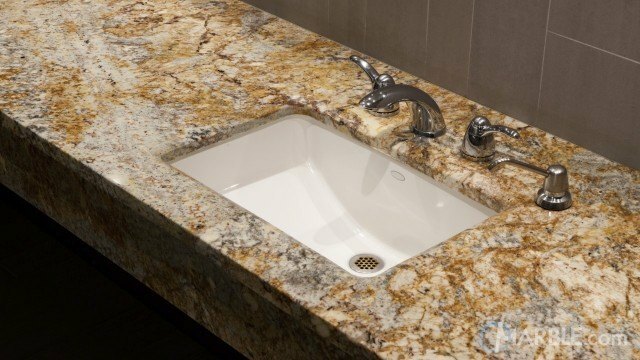 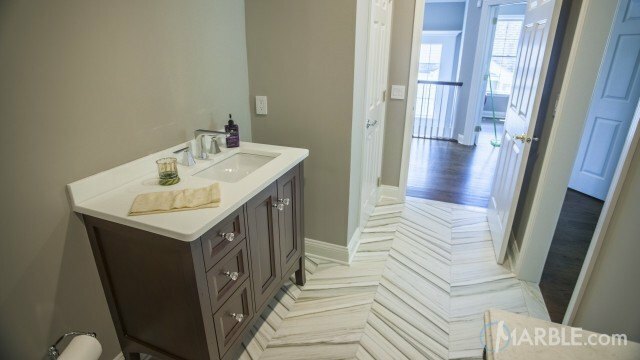 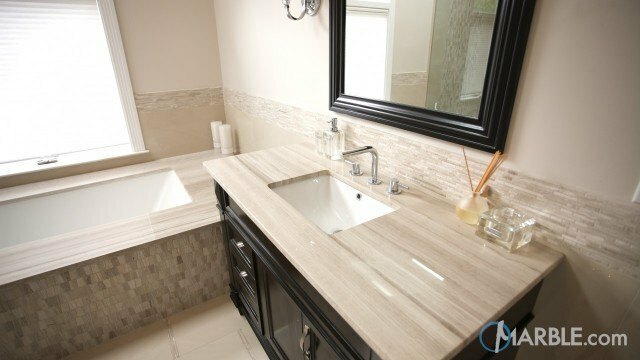 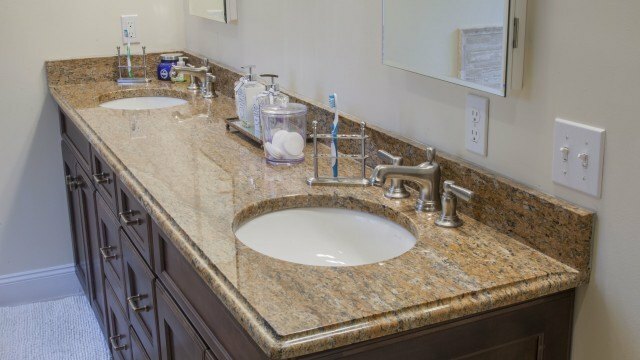 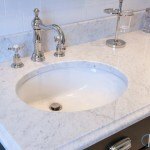 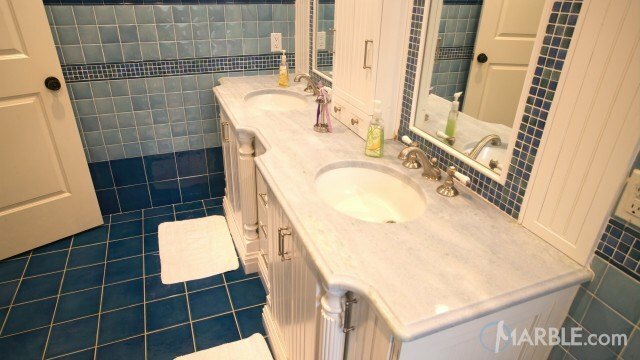 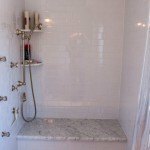 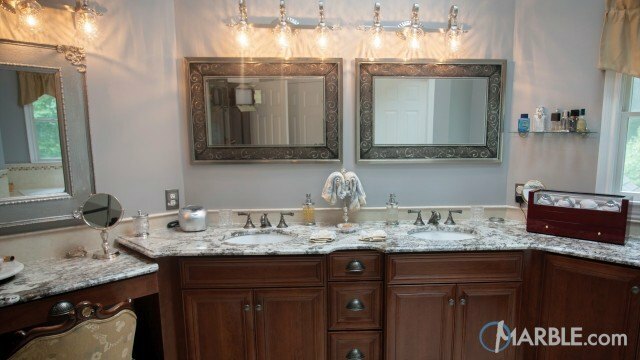 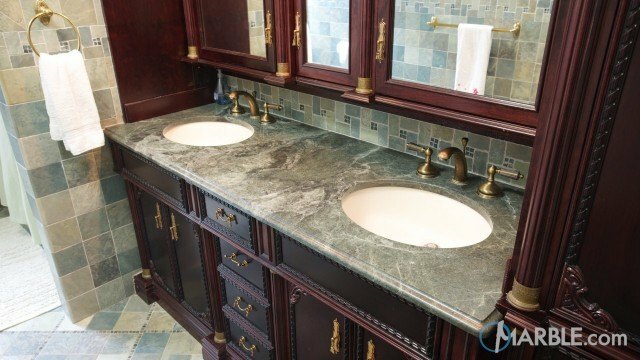 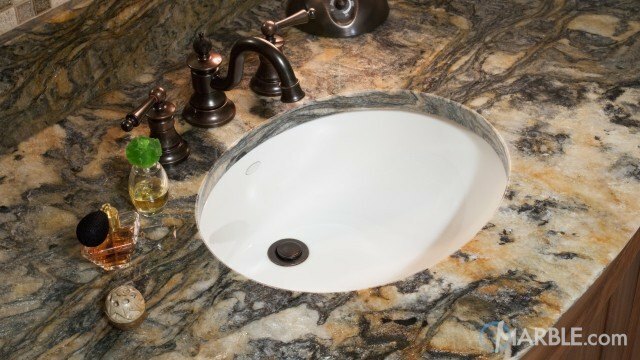 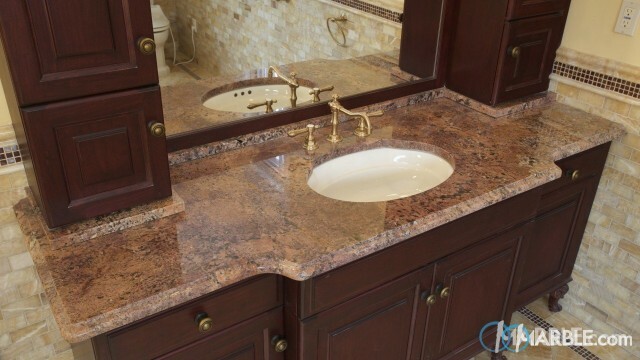 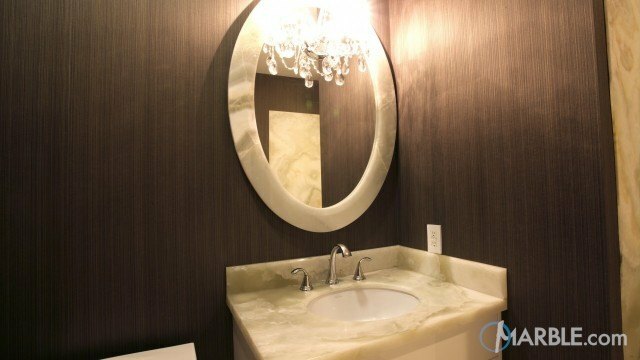 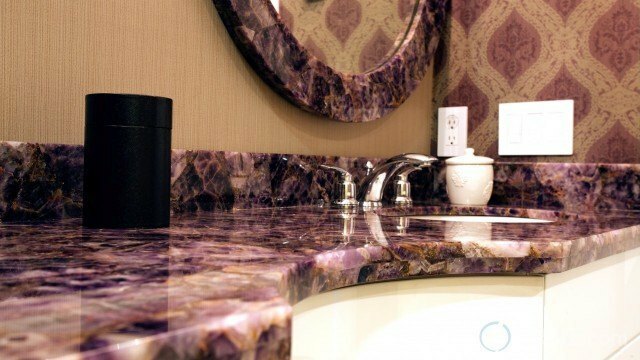 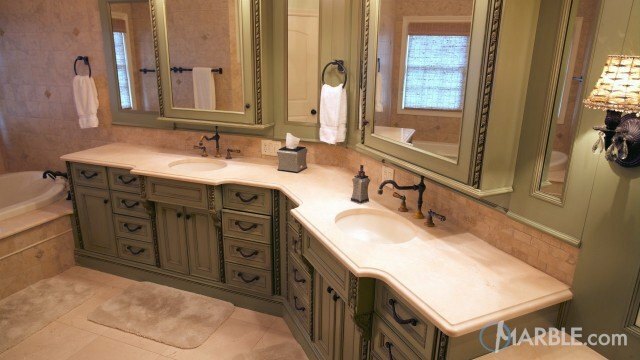 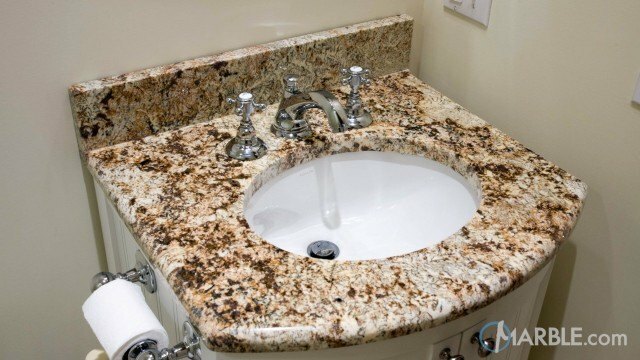 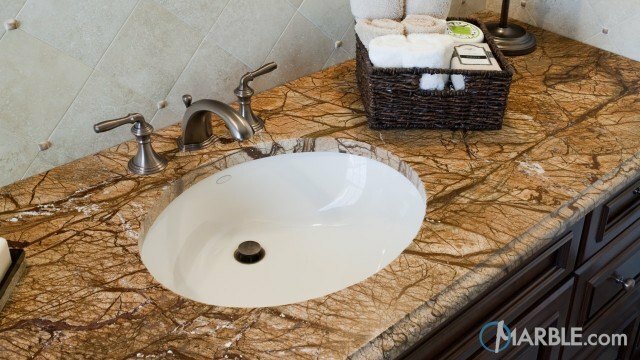 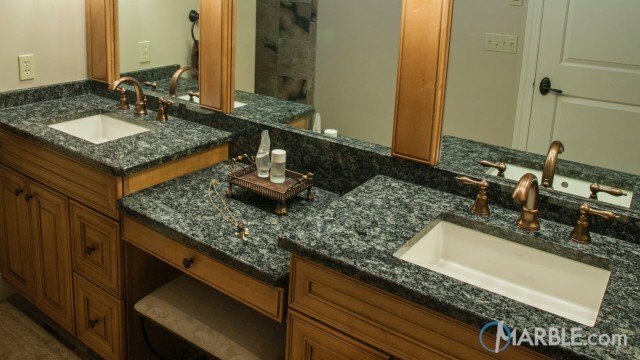 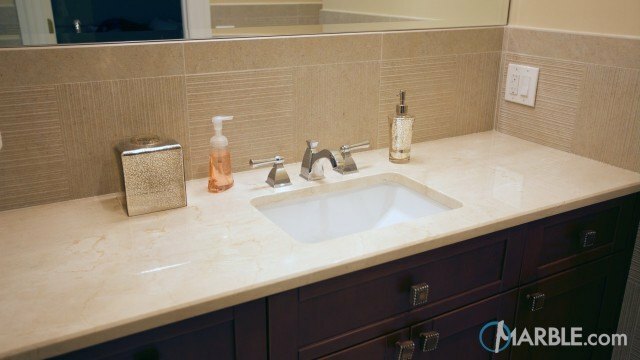 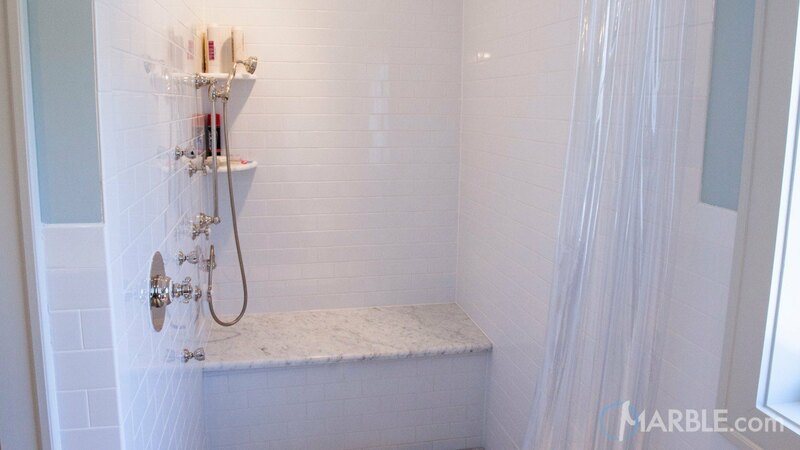 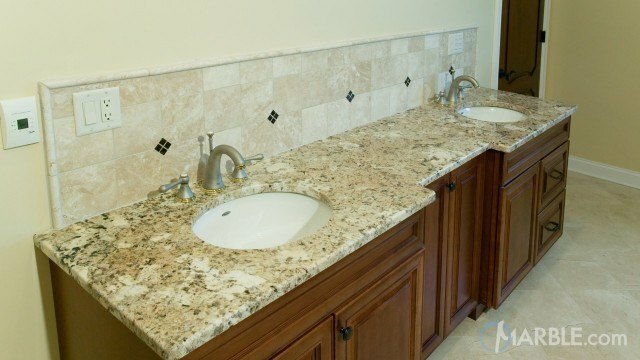 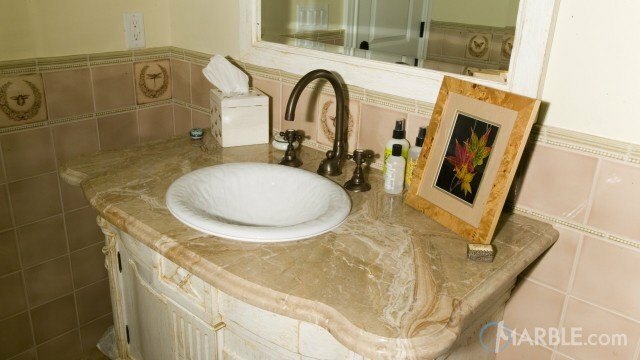 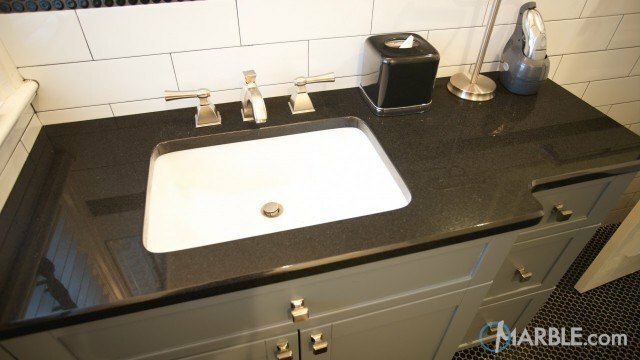 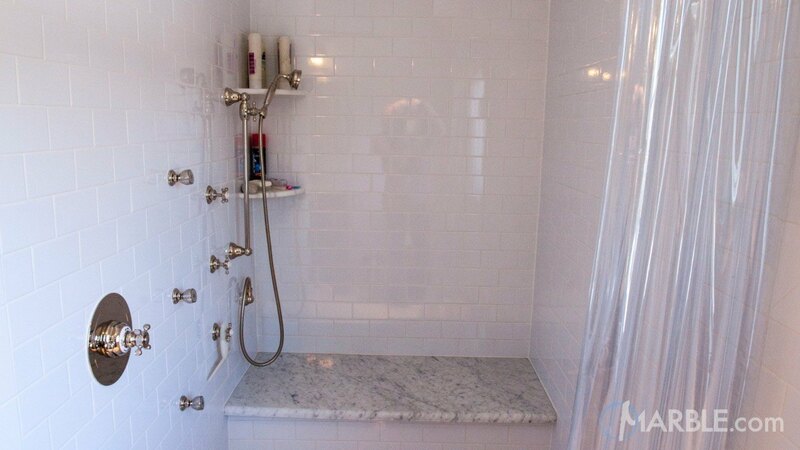 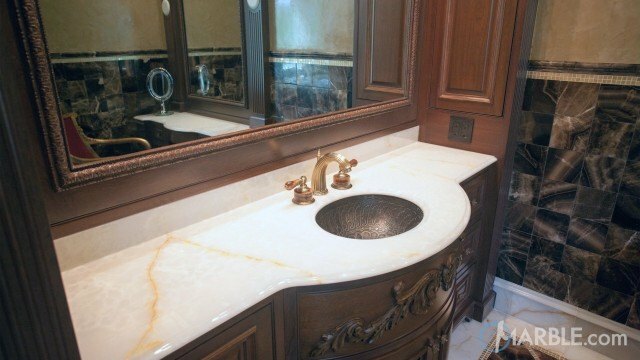 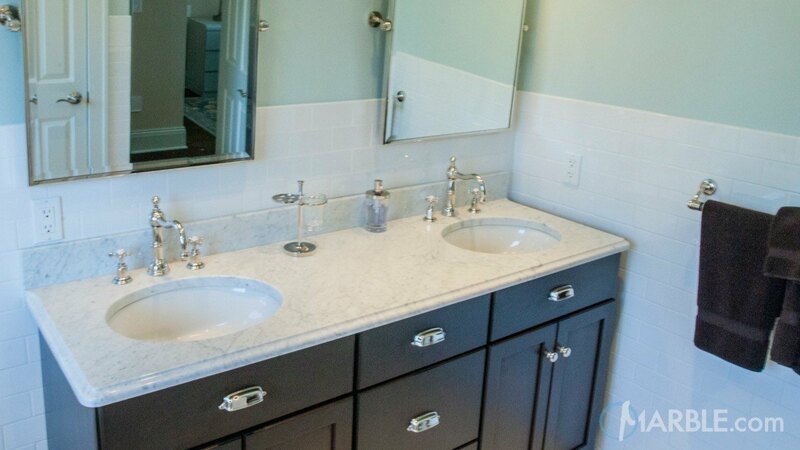 While marble may not be the best material for a kitchen, it's a great material for master and guest bathrooms. 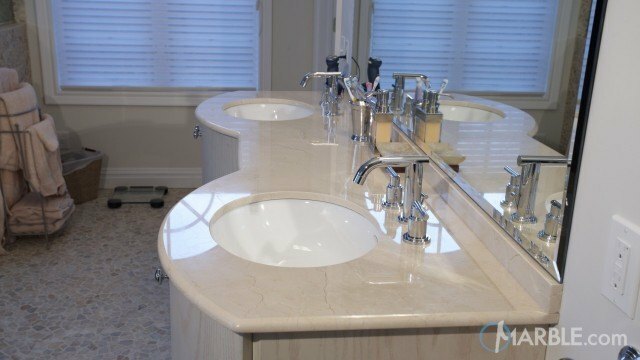 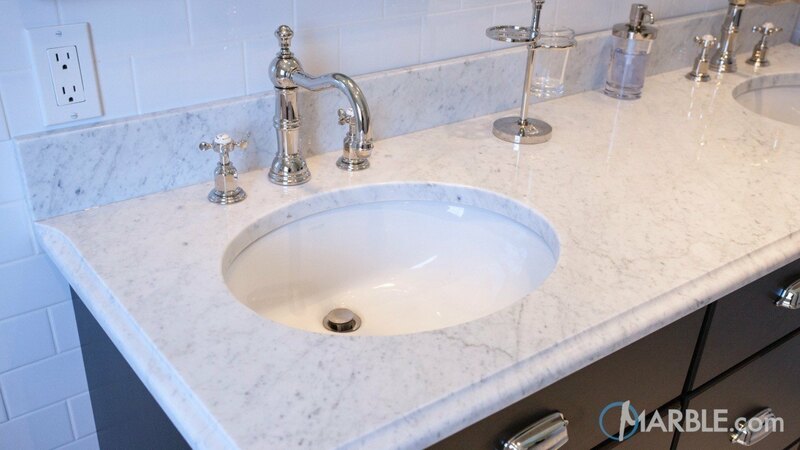 The soft look of Statuario marble goes back centuries and will truly last the test of time. 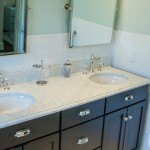 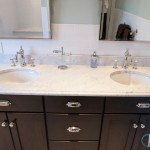 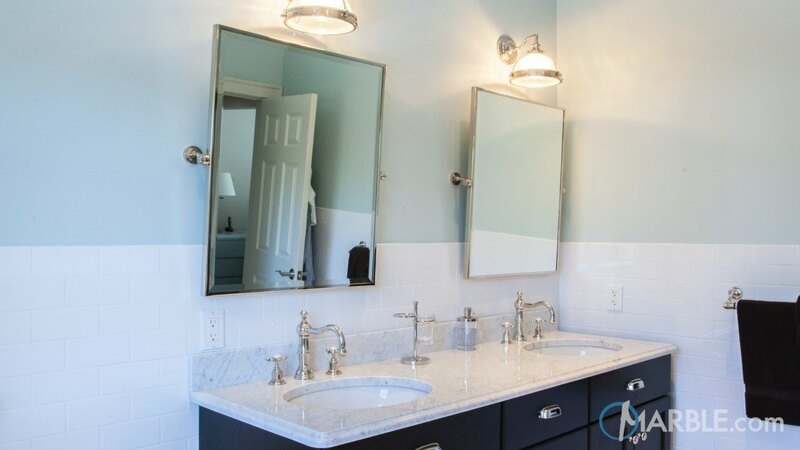 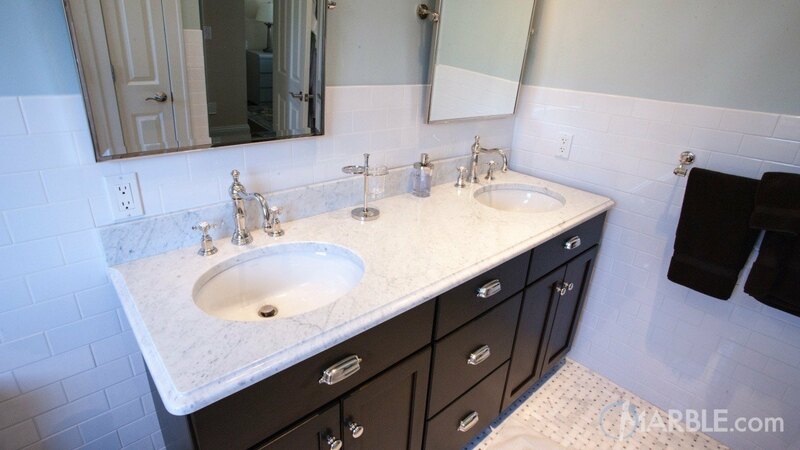 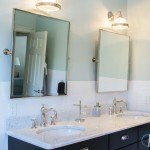 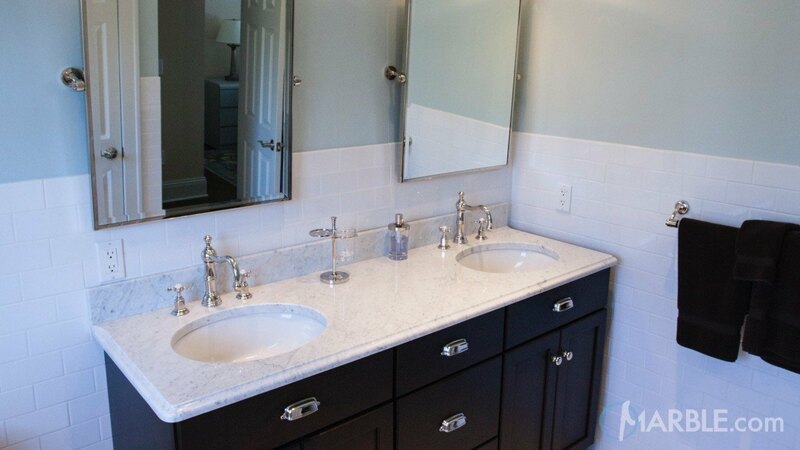 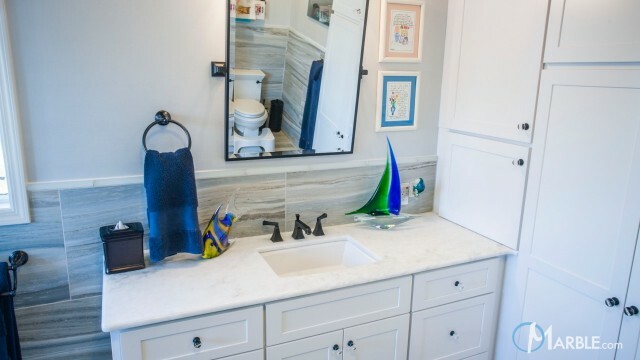 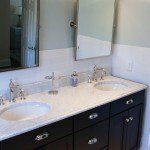 White marble is typically matched with white or black cabinets.